Malta’s explosive housing boom between 2003 and 2004 saw house prices increase dramatically, with sharp rises in construction activity. However the housing boom is now officially over. The over-all house price index fell 0.8% to end-Q1 2008 from a year earlier. When adjusted for inflation, house prices actually fell by almost 5% over the same period. The previous 4 years had seen dramatic price increases. The most impressive price increases occurred in 2004, when prices rose 20.3% (or 17% in real terms). Then there were 13.3% price rises in 2003 (11.8% real). In 2005, the housing market started cooling with 9.8% price rises (6.6% in real terms). By 2007, the over-all house price index rose by a mere 1% (0.4 in real terms). Apartments have led the house price crash with 2.9% price fall (-6.9% in real terms) to end-Q1 2008 from a year earlier. The average price of maisonettes, two-level apartments, fell 1.3% (-5.4% in real terms) to end-Q1 2008 from a year earlier. In 2007, maisonette prices decreased 3.8% y-o-y (6.7% in real terms). The average price of terraced houses rose 2% y-o-y in Q1 2008, but when adjusted for inflation prices fell 2%. 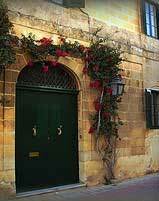 Several factors contributed to Malta’s house price boom. Low interest rates also strongly encouraged purchases. Residential mortgage debt rose from 19.6% of GDP in 2002, to 34.7% of GDP in 2006. Another important factor was the September 2001 to June 2005 Investment Registration Scheme, a tax amnesty for Malta residents who had invested overseas. In anticipation of EU directives on financial information-exchange, residents of Malta were allowed to ‘legalise’ their undeclared overseas assets without paying tax on them, by paying a nominal penalty of 3% - 5%. Many took the opportunity to repatriate money to Malta. This created unintended upward pressure on prices when these now ‘legal’ assets were used to buy property in Malta. Malta’s entry into the European Union also attracted buyers from EU-member countries. Another driver of prices was the removal of building height restrictions in some areas by the Malta Environment Planning Authority (MEPA), causing the sale of many houses to make way for apartments. Development permits for dwellings rose from an average of 1,300 from 2000 to 2004, to 1,850 in 2005. In 2006 and 2007, development permits exceeded 2,500 per year. The total number of units to be constructed in 2007 exceeded 11,000. Non-EU citizens can only buy one property in Malta and Gozo. But they can buy more properties in ‘specially designated areas’ such as Tigne Point, Portomaso, Cottoenra, Manoel Island, and Chambray. The property must be used solely as a residence of the owner and his relatives. Non-EU foreign nationals need to obtain an Acquisition of Immovable Property (AIP) permit from the Ministry of Finance before they can buy property in Malta. The permit processing usually takes three months. The prospective property must be worth at least €95,900 for apartments, and €155,000 for other types of property. EU citizens can only buy properties as of right for use as primary residence. Other than that, an AIP must be secured. Aside from stamp duty and real estate agent’s fees, the seller must pay 12% Capital Gains Tax on the entire selling price, if the property has been held for more than 5 years. According to Global Property Guide research, property prices in Malta range from €2,800 per sq. m. to €5,900 per sq. m. Rental yields are quite low, 3.5% at the most. The owner-occupancy rate in Malta was 75.2% in 2005, up from 68% in 1995. Of the 139,178 dwelling units in 2005, 20.6% were rented, down from 28.3% in 1995. With supply exceeding demand, there is now an over-supply. A third of the property stock is second homes, and 21% of all properties are empty. Unless the Maltese authorities liberalize the renting and owning rules, it is hard to understand who will buy the new supply. There are recent moves by the Finance Ministry to review the restrictions on rental of units owned by foreigners.